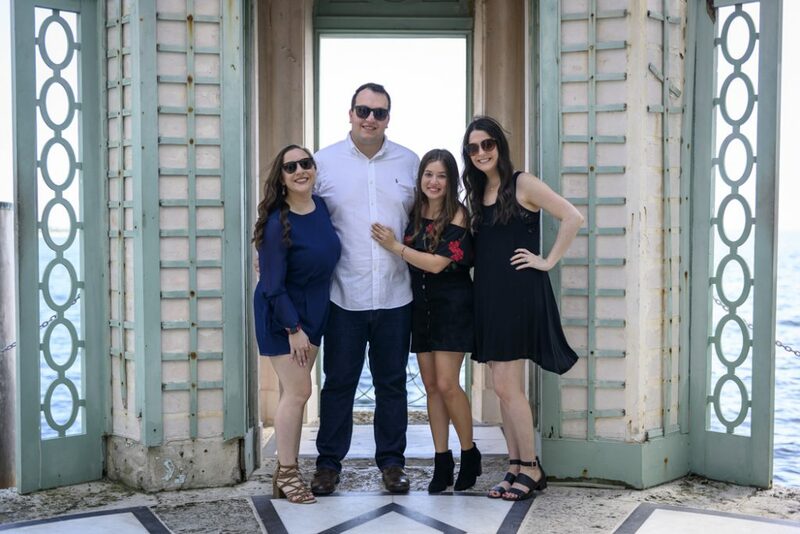 Wondering how to include family and friends in your engagement proposal? Paparazzi Proposals coordinated with Sam to plan the picture-perfect, intimate proposal to his girlfriend while still allowing them to celebrate with family and friends after. 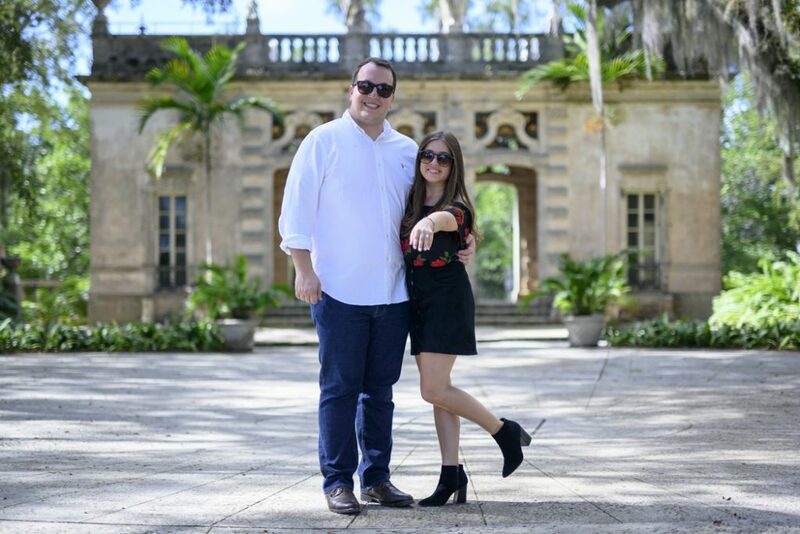 Sam invited his girlfriend to the Vizcaya Museum & Gardens but planned a special surprise. We arranged for our sneaky photographer to already be waiting inside to capture the moment he got down on one knee. 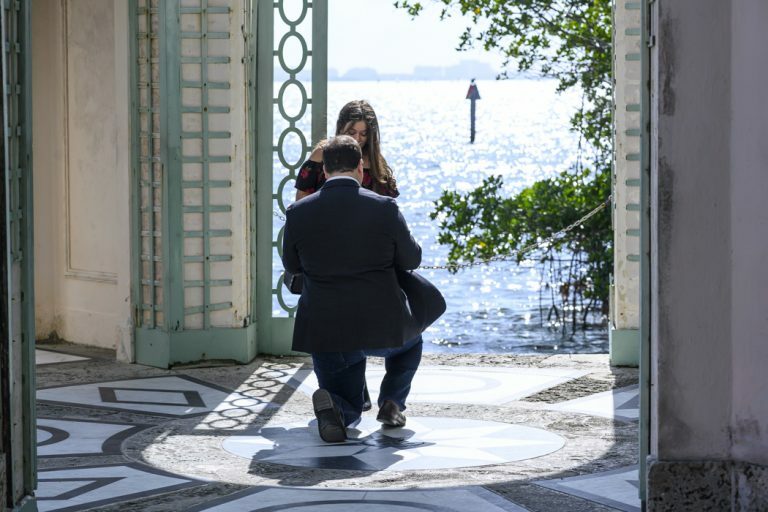 Sam wanted the beautiful ocean backdrop to decorate his engagement, which one of the gazebos offered a stunning view of. He also wanted to arrange for his family and friends to be there to surprise his girlfriend with. This is a wonderful idea for a proposal and can make the occasion all the more memorable and special, however, it could also potentially take away from the privacy of the moment. We coordinated to get the best of both worlds. 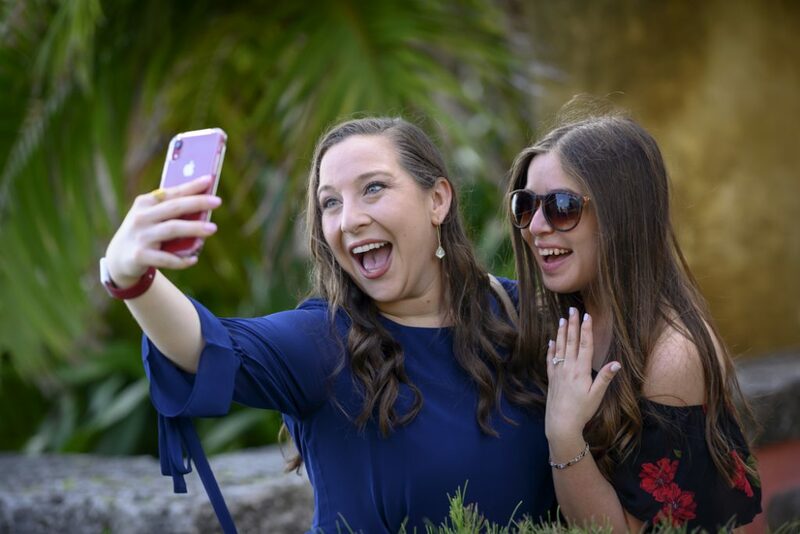 Contact us today for help planning the picture-perfect proposal and get a $60 off all our photography packages! Contact us today at 1 (888) 287-5120 for a free consultation. Let's begin planning your special moment. 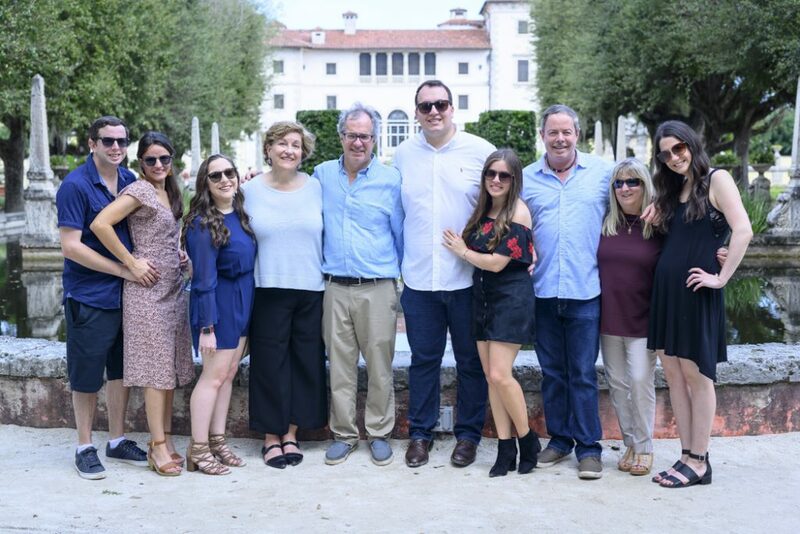 All of their family and friends got there prior to their arrival, waiting nearby the designated proposal location but out of sight. This allows them to be there to surprise and celebrate after but not introduce on the moment or potentially give the surprise away! Our photographer posed as a tourist sitting on the bench leading up to the gazebo. 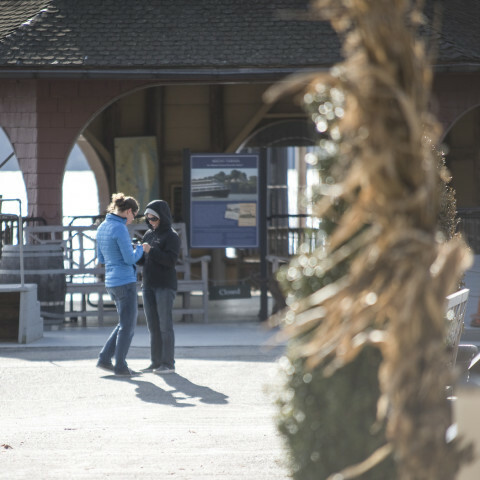 Upon the soon-to-be-engaged couple arriving at the gazebo, Sam got down on one knee. After she said “YES!” the friends and family followed the cue to reveal themselves, and our photographer took beautiful portraits of the happy couple surrounded by all of their loved ones. 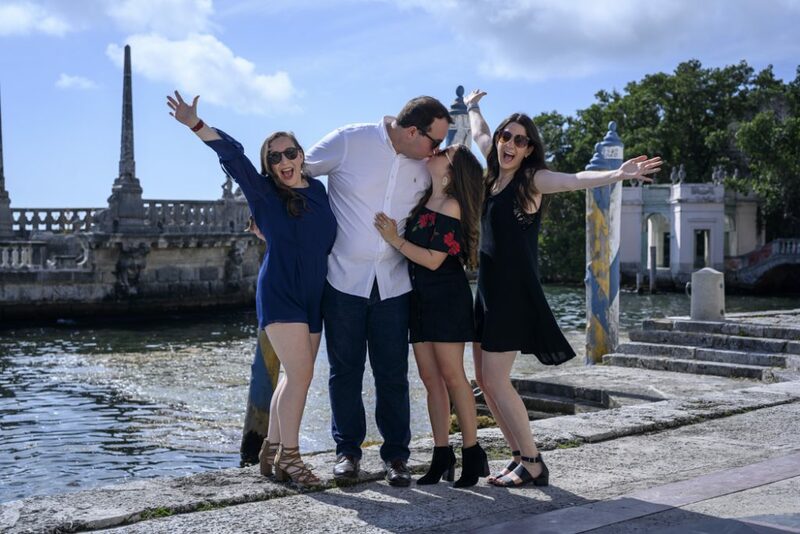 Find out more on how to to include family and friends in your engagement proposal and tips on planning the picture-perfect session by following us on Facebook and Instagram! Stop the waiting! 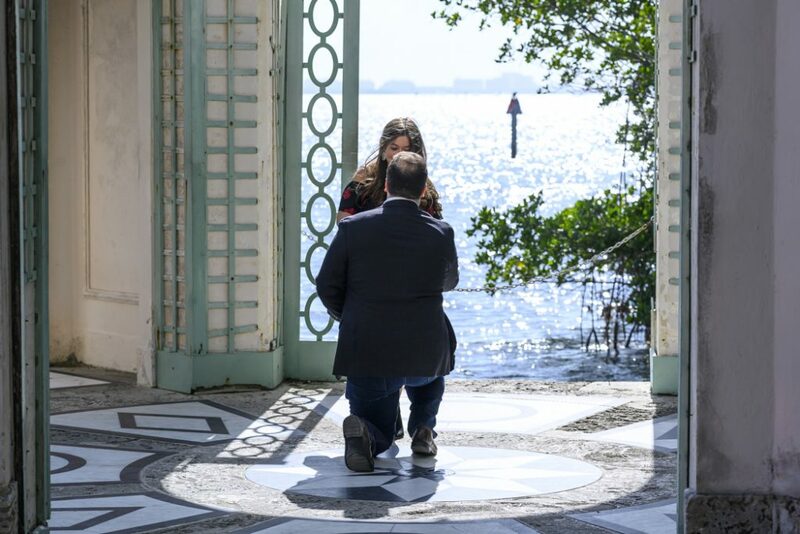 Start planning your romantic proposal! Call us now at 1 (888) 287-5120 for a free consultation. Don't let your picture-perfect moment pass you by! 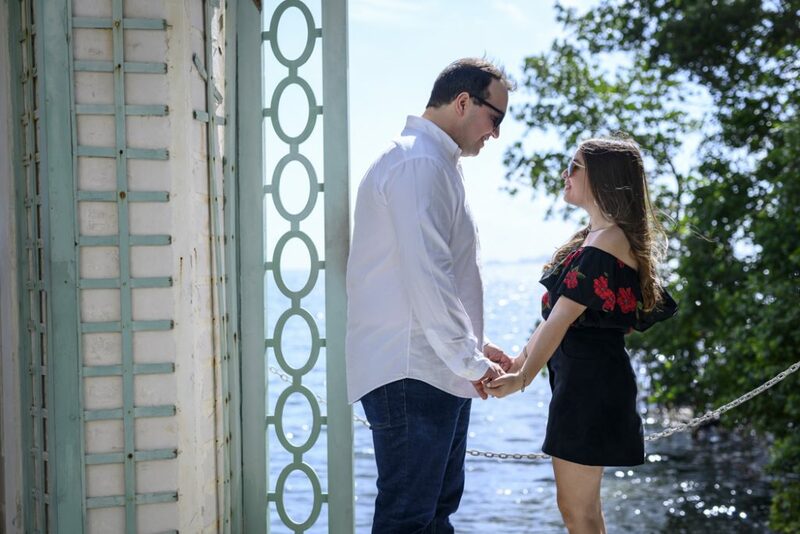 Proposal Photography Package in Washington D.C.